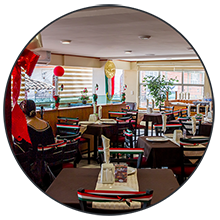 Enjoy a pleasant stay in our comfortable and elegant facilities; all our areas were designed thinking about your comfort in order to offer to you the best experience during your trip. 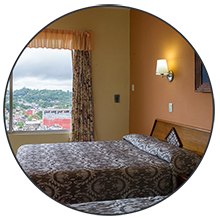 HOTEL TAJÍN offers the environment that you need to rest. Wide and comfortable rooms standard with double beds. Our comfortable Jr. Suite for 1 or more persons. 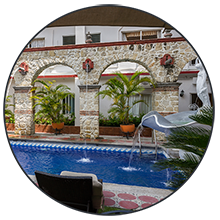 HOTEL TAJÍN is located in Papantla, Veracruz, a city that has an atmosphere full of tradition and culture. Our name refers to an ancient story happened in our land: the god Tajín story. > What eat in papantla, Veracruz? © 2016 Hotel Tajín. All rights reserved.